Indulge in some truly self-expression with our exquisite Czech rhinestone jewelry. 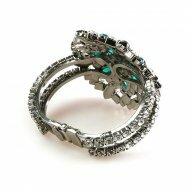 We currently have over 1,500 limited-series jewelry models in stock. When you wear jewelry by Lilien Czech, you are wearing a genuinely singular work of brilliance. 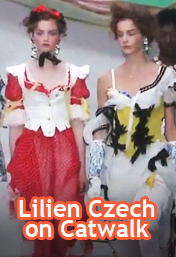 Let Lilien Czech be your energy.. 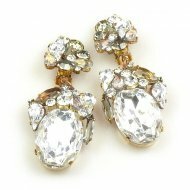 Nothing catches the eye and takes hold of the imagination like a pair of shimmering pendant earrings. 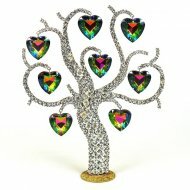 Choose from multiple rhinestone models. Our jewelry sets lift the decadence of tradition to new heights. The majority of the sets feature necklaces paired with matching earrings to create truly breathtaking looks. Variety is a cornerstone of self-expression. 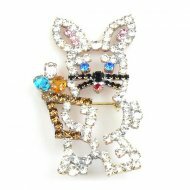 Our extensive selection of assorted pins offers endless possibilities to accentuate any look for that memorable occasion. 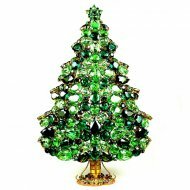 Embrace the spirit of the holidays with seasonal designs that are perfect for those who simply can't keep the festive cheer contained within. A thin layer of precious metal (gold, silver, copper, etc.) 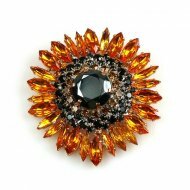 applied to the jewel, creating a uniform surface on the back of the piece and giving it a higher degree of polish and elegance. 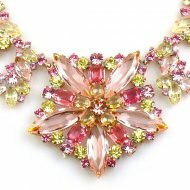 Charming Wedding Collection for costume bridal and bridesmaids' jewelry, pearl necklaces, earrings, cuffs, clutches, bracelets, rhinestones. A touch of brilliance upon the wrist can often bring a look to perfection. 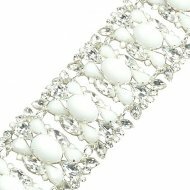 Our bracelets are the ideal compliment to that special outfit. The hands speak volumes - let them say something special about you. 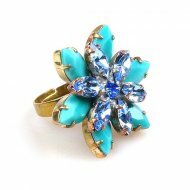 Our rhinestone rings feature captivating designs and convey an unforgettable radiance. Accessories play a vital role in the latest hairstyles. 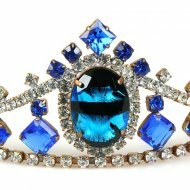 From tiaras to headbands and much more, we have the accessories you need to top off any look in splendid style. Looking for Easter gift ideas? Why not go with something they'll love & get Easter Jewelry. 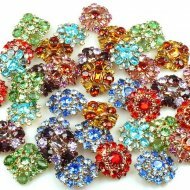 Nothing allows for greater variation in personal style than a diverse collection of rhinestone buttons. With these delicately crafted works of art, the possibilities are endless. Put your jewelry into the elegant box.